NAGA CITY (Bicol Standard) – Judge Juan Antonio G. Cereno of the Municipal Circuit Trial Court of Libmanan-Cabusao, Camarines Sur has dismissed the petition for the inclusion of Maria Belen Andaya-Eusebio in the list of voters of Barangay Puro Batia, Libmanan, Camarines Sur. The Court added that Andaya-Eusebio remains registered under Republic Act 8189 in Pasig City, which is outside the Municipality of Libmanan, Camarines Sur. The Court stressed that inclusion may only be availed of in either of two instances: (1) by one whose application for registration has been disapproved by the Board; or (2) when one’s name has been stricken out from the list of voters. Further, the petition should be supported by a certificate of disapproval of the application and proof of service of notice of the petition of inclusion to the Board. The petition of Andaya-Eusebio, the Court said, does not fall into either of the two instances mentioned under the law. Neither was there any supporting document attached to the petition regarding the certification of disapproval of her registration, it added. “The remedy taken is improper,” the Court further clarified. The same decision says that the Court has limited jurisdiction in inclusion cases. The trial court averred that it has no power to order the change or transfer of registration from one’s place of residence to another, which is the function of the Election Registration Board. Andaya-Eusebio earlier filed a petition for transfer of registration as voter from Pasig City to Libmanan, Camarines Sur. Last month, Andaya-Eusebio filed her Certificate of Candidacy for Representative of the 2nd District of Camarines Sur, against incumbent Cong. Luis Raymond “LRay” Villafuerte, Jr.
Andaya-Eusebio was formerly the Mayor of Pasig City. 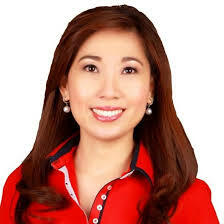 She is married to incumbent Pasig City Mayor Bobby Eusebio, who is seeking reelection. She is also the sister of Majority Floor Leader and Camarines Sur 1st District Rep. Rolando Andaya. As of this writing, she has not yet issued a statement on this matter.